Testamentary capacity issues should be discussed with an estate lawyer. Call 1-866-677-7746. One of the most commonly litigated areas is the allegation of lack of testamentary capacity when making a will. Estate litigation is unique, because the most important witness – the testator – is no longer alive to explain his or her motives. This unique challenge affects estate litigation at all stages. Mental capacity issues become more common as our population ages and working with individuals with wavering capacity often requires specialized knowledge and training. Although superficially simple, the difficulty of defending a deceased person’s will against attacks is second to none. There are many published cases on this issue, but the language surrounding capacity is nebulous, obscure, and difficult to reconcile. The difficulty with situations where a will challenge is advanced based on the testator lacking testamentary capacity is that it is problematic if not impossible to determine what the last wishes of the testator were. The deceased testator may have made his or her will long before death, and it may be uncertain exactly when he or she started to lack capacity. In certain situations the testator may have developed mental illness close to the time when the will was executed or amended. The burden of showing the testator had capacity to make a will is on the person asserting the will is valid. The legal requirements to show a testator had capacity are different from the capacity requirements to enter into a legal contract, get married, or to grant a power of attorney. If you are in a situation where you believe a will is invalid due to the testator lacking testamentary capacity, it is important to consult with and retain an estate lawyer. If your dispute is in Toronto, you should retain a Toronto estate lawyer due to the mandatory mediation provisions of the Rules of Civil Procedure. 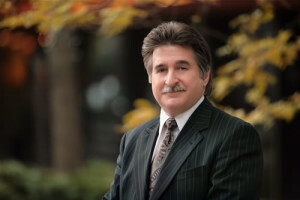 Charles is an estate litigation lawyer with over 35 years of experience and he can assist you if you are challenging or defending against a will challenge based on a lack of testamentary capacity. It is important to retain the services of an estate lawyer with intimate knowledge and experience in estate law. Estate litigation lawyers can assist you with your dispute to ensure you reach a cost-effective and timely resolution in your dispute. The information on this website is not legal advice. It is for informative purposes only. Contacting us through the website, email, or telephone does not mean you have retained a lawyer. To book a consultation, call Charles Ticker at: 1-866-677-7746.